Listen to "Sapiens. 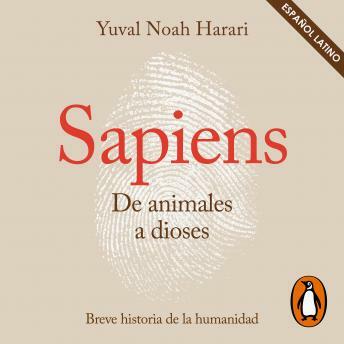 De animales a dioses: Una breve historia de la humanidad" on your iOS and Android device. It is the missing common sense! Excellent book. Very honest and deliberate delivery. Exhaustive and concise, I'd highly recommend it to anybody. Not a native Spanish speaker, but the narrator seems to be in a hurry and occasionally slurs their words. The audiobook allows speedchange, but only faster speeds for some reason, so it's really a complaint about the app. Other than that, it's great, and I plan on listening to it several more times.